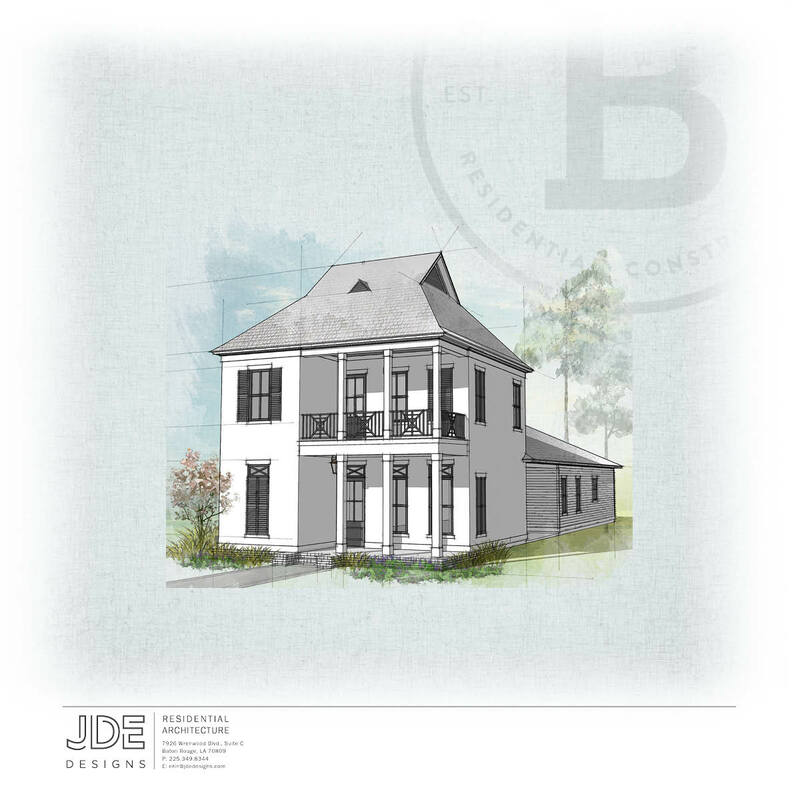 This Artisan Hill two story plan designed by JDE Designs features brick ribbon and steps to the front porch. Enter into a large kitchen/living/dining room with access to powder bath. 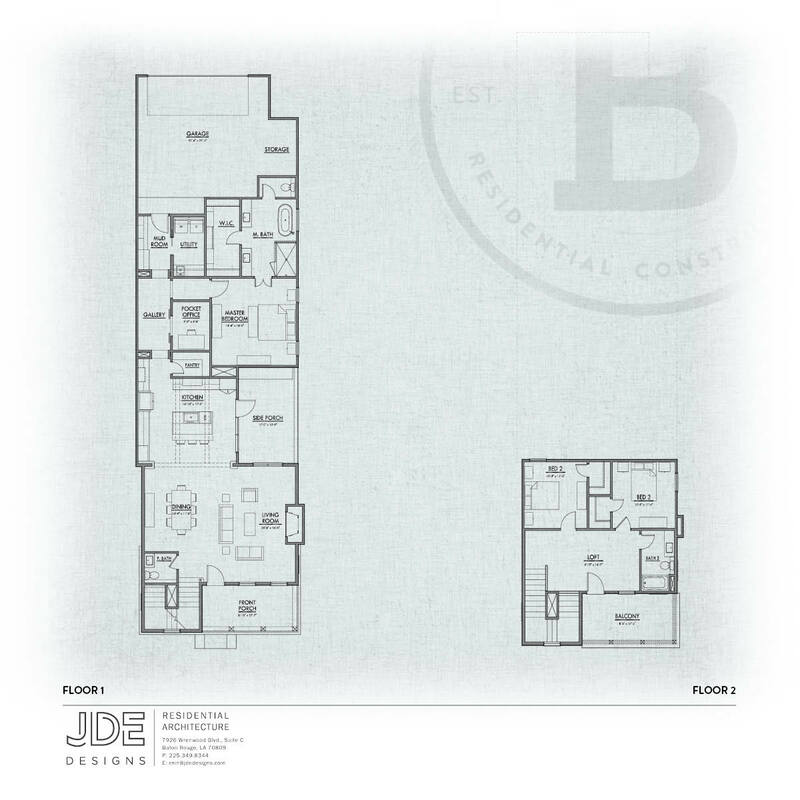 Find the master suite on the first floor with walk in closet and master bath. The first floor also features a mudroom, pocket office, and gallery with a barn door. Upstairs are two guest bedrooms, guest bath, and balcony. Enjoy the spacious side porch with optional outdoor kitchen and garage with storage space. Artisan Hill offers a gated entrance with visitor parking and walking sidewalks around pond views.